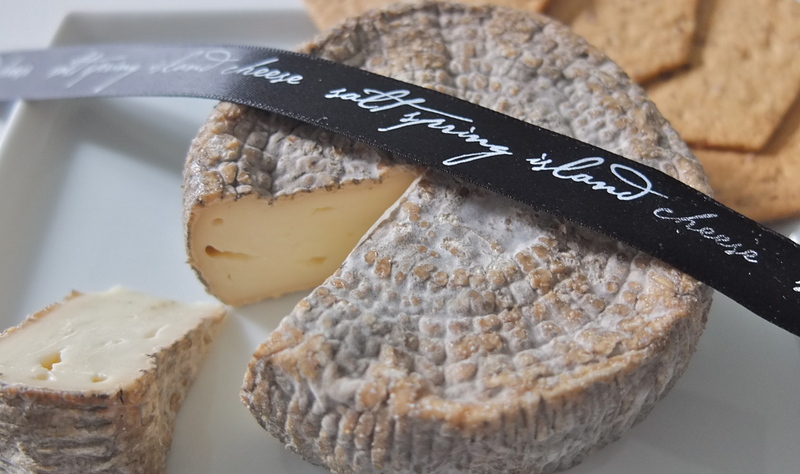 Blue Juliette has captured another admirer…she is pungent and earthy with lots of mushroom and soil flavours on the exterior and an ultra creamy paste that I chose to pair with my fig crackers from The Fine Cheese Co. and Stasis Preserves Black Walnuts in honey. Her craggy, natural rind is unusual to see on a surface ripened, soft cheese but it makes a beautiful addition to a cheese plate that needs some earthy elements. Salt Spring Island Cheese Company has a no nonsense message about their business. “We simply believe that a better kind of food business is one that reflects both good community and good food, as the two frequently go together.” They have been making cheese since 1994 and craft their products from goat and sheep cheese. They are best known for goat chévre that has been molded to look like a créme caramel dessert and available in a variety of flavours ranging from Basil, Chili, Garlic, Lemon, Pepper, and White Truffle. The plain also comes decorated with an edible flower that makes the perfect hostess gift. Remember what this cheese looks like now…the wedge may not last very long. 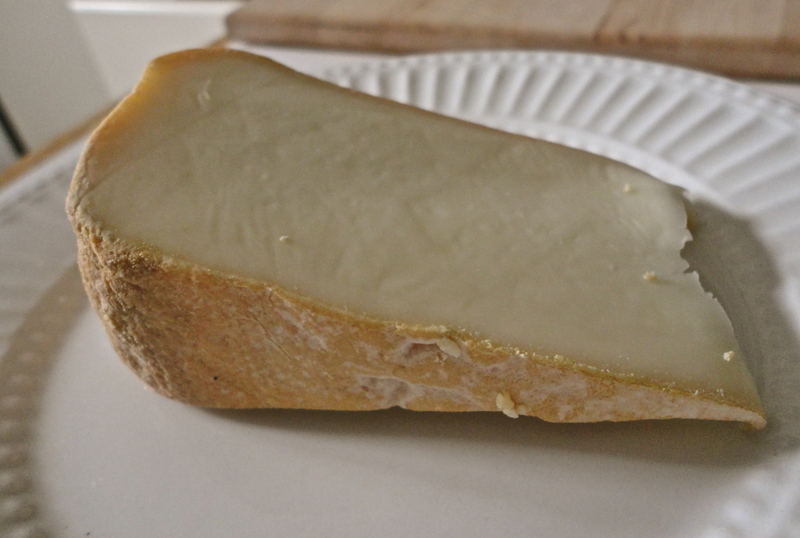 With a natural craggy rind and a contrasting ivory paste, Tomme du Haut-Richelieu is a knockout on a cheese plate. It boasts a barnyard aroma and the primary taste is a sure bet that it’s a goat cheese, however, people who do not like goat won’t be able to resist this one…The paste is rich and milky, melting easily in the mouth. The finish is short, fresh and grassy. This is the second cheese I have profiled from Fritz Kaiser. His ability to make his cheese consistent and uniform each time makes it easy to buy. Pair with a wheat beer or pilsner on the patio. Keep updated on new cheese postings!